Please note: The DermMedica Scholarship is Finished. We are no longer taking any applications now or in the future. We have always believed in the promise of students, and we’d like to do our part to fulfill that promise. This year, for the first time ever, we are offering a $1500 scholarship to one deserving student. We are very excited for the opportunity to contribute to someone’s future, and cannot wait to hear what you have to say. Our growing field is on the frontier of many of the major advancements in biology, chemistry and medicine. This position comes with its share of consequences—New technology means new concerns about how to use it responsibly, and how to better balance treatment with issues of self-esteem and body image. Our scholarship is a simple one. 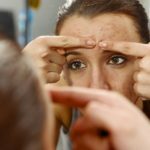 We’re asking you, in 500 words, to apply the insight from your unique perspective to one of the many complex issues that concern modern medicine, particularly skincare. Please choose one of the topics below. Botox, and procedures like it have often been reactions to wrinkles and the such. What is your opinion on “pre-wrinkle” treatments and other preventative surgeries used by younger people to prevent the outward appearance of age? There has been controversy in the industry about when aesthetic surgeries are acceptable for adolescents. Should teenagers have the right to pursue these treatments? 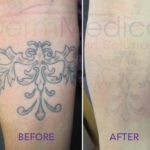 Procedures and treatments are constantly evolving every day in the skin care industry. We didn’t always have laser tattoo or hair removal! What kind of procedures/treatments do you think we will be performing 25, 50 and 100 years from now? The topics should be pretty straight forward – we aren’t looking to stump you. Instead, we want your opinions, creative insights and generally something we could devour with our morning coffee. Make us think. Make us smile. Most importantly, be yourself, and set yourself apart from the other entries. This scholarship is for the 2014-2015 school year, and is open to anyone from college-bound high school graduates to those seeking their masters. We see patients from all over the world, and our scholarship is open to both American and Canadian students. The entry deadline is December 15th 2014. The winner will be announced before, or on December 30th 2014. And finally, the award will be in the mail by January 15th 2015. What’s next? First, scroll through the scholarship terms and conditions. Then, once you’ve prepared your mind-blowing essay, make your way over to our scholarship entry form. That’s it! We are so excited for your entries, and wish you every bit of luck. Check out our Facebook page or Twitter feed for the Scholarship winner. Apply here: scholarship entry form.